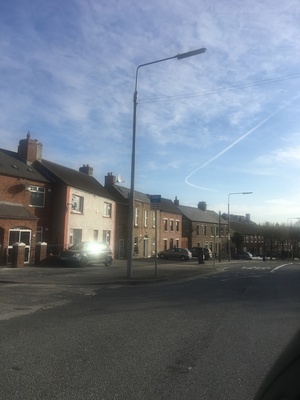 Posted in Misc and tagged contrails, Inchicore at 9:55 am on March 26, 2019 by Bodger. Flight to Düsseldorf, I’d say. I’ve noticed a lot of flights turning like that over Dublin recently .. never noticed that before .. also a increase in the amount of flights.. anyone know ? 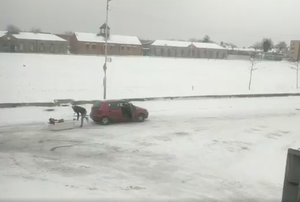 Is that not Leo off to his next engagement? But I’m old school like that. The pair of ye should doppler selves on! That’s a skid, if it’s anything Frill.